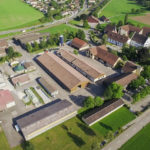 Swiss Future Farm has Crop Tour plots that enable the farm operation to explore the functionalities of Precision Planting in corn and sugar beets. Nils Zehner is working as a Farm Manager on the Swiss Future Farm, a showcase farm for Fuse Smart Farming Synchronized located in Tänikon, Switzerland. Being an agricultural engineer, the promising features of Precision Planting technology have drawn his interest. The Swiss Future Farm has Crop Tour plots that enable the farm operation to explore the functionalities of Precision Planting in corn and sugar beets. Precision Planting technology is being widely used by North American farmers to plant large areas of land. 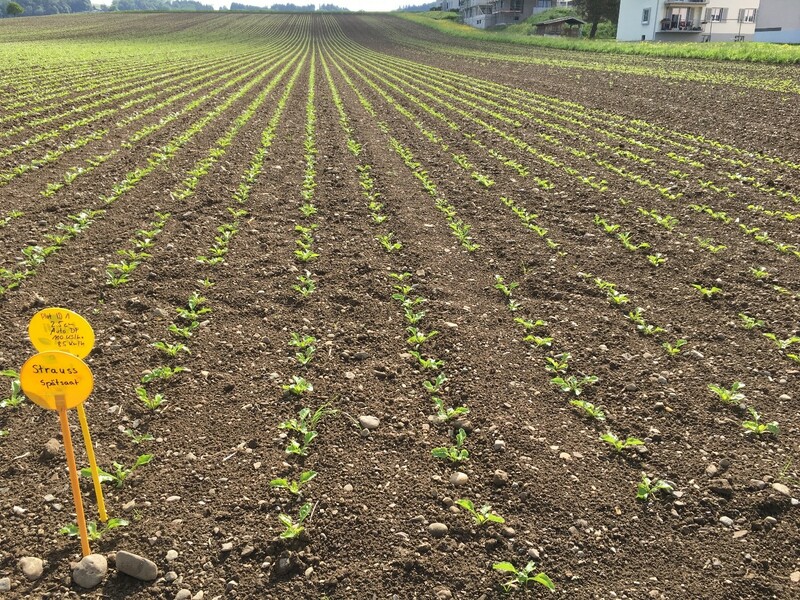 A 3 meter planter equipped with Precision Planting technology successfully planted sugar beets on the Swiss Future Farm for the first time. 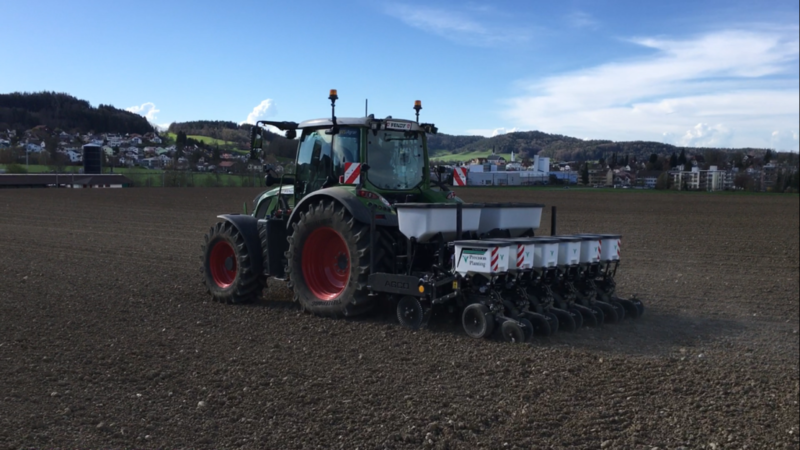 The Precision Planting equipped planter was assembled exclusively for Swiss Future Farm in collaboration with AGCO importer Agrar Landtechnik AG in Balterswil, Switzerland. 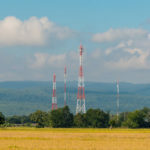 The goal is to successfully implement technology, which can increase yields and can be adapted to Western European farming conditions. Innovative Precision Planting components ensure consistent seed spacing and depth for optimized field emergence and yield increase. 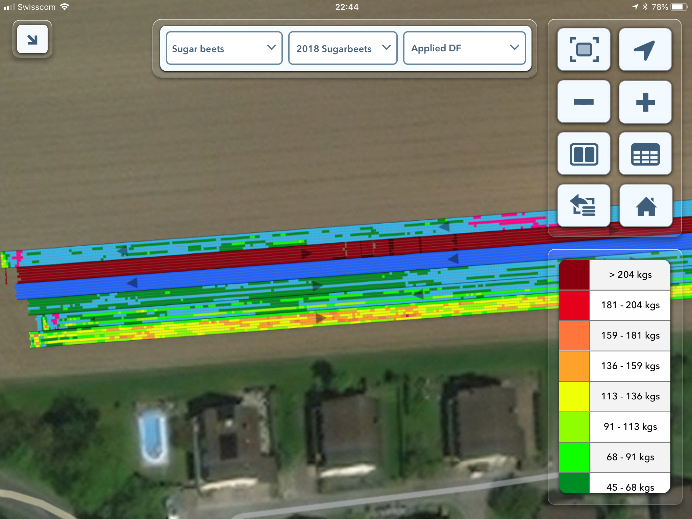 This technology is part of a focus trial for sustainable sugar beet production strategies on the Swiss Future Farm. This trial is an important contribution to the on-farm-research of the Swiss Future Farm: testing new technologies to generate knowledge for best agronomic practice, and making these results accessible to all stakeholders in practical farming and agricultural business. SmartFirmer – soil sensors for measurement of moisture, temperature, and organic matter of the soil during planting, individually for each row. DeltaForce – automatic down force adjustment for consistent planting depth also under varying soil conditions, individually for each row. SpeedTube – uses a conveyor belt for precise seed placement to the furrow, avoiding a free fall from the seed meters, and enabling a planting speed at twice the previous rate. These components aim to optimize the use of labor time, soil conditions, and seed input for establishment of high-yielding crops. Documentation of planting is done in real-time on the Precision Planting 20/20 Terminal and the FieldView Cab App. 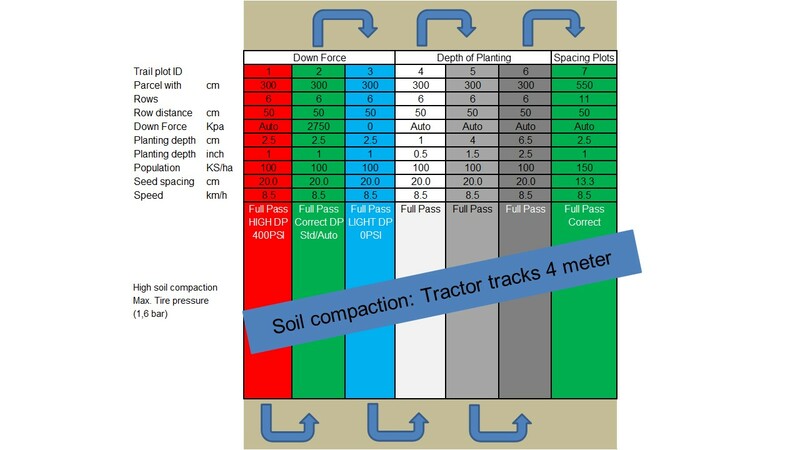 Upcoming field trials on the Swiss Future Farm will use Precision Planting equipment for corn and rapeseed, and in combination with strip-till. 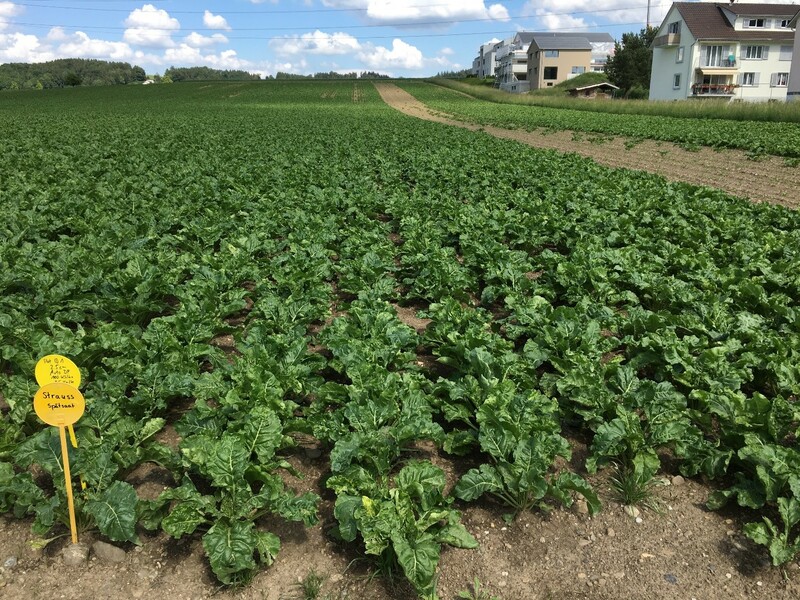 Sugar beets trials using the Precision Planting equipped planter will be repeated over the next 2 years on the Swiss Future Farm, with a focus on population and down force settings in various soil types.